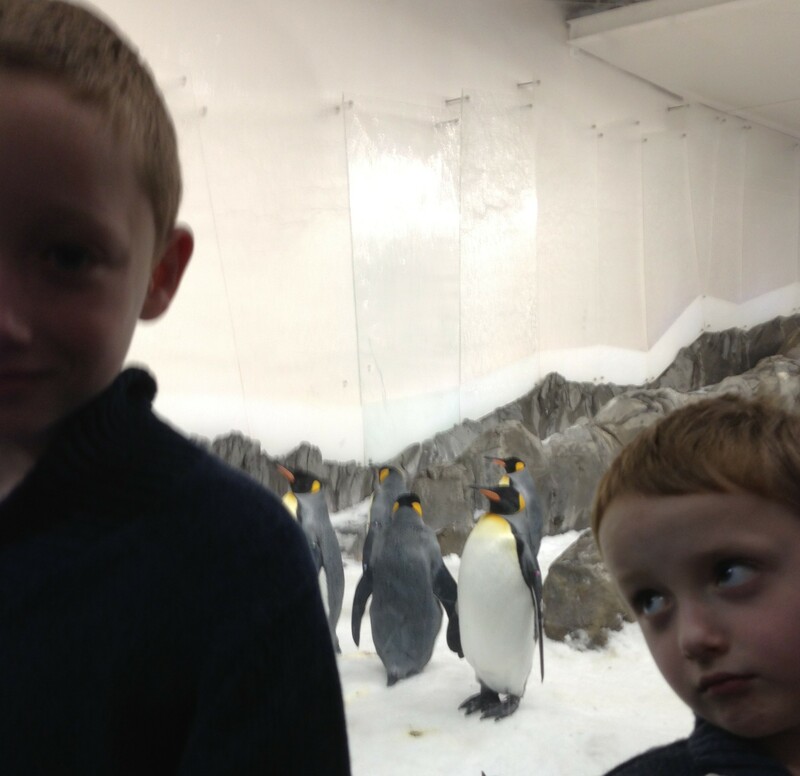 One of my readers requested a post about penguins and I recently saw king penguins at the Melbourne Aquarium, so I thought that they would be a good penguin to choose. King penguins are the most abundant penguin in the world, with an estimated 2.2 million of them in the wild. They are the second largest penguin in the world, behind the emperor penguin. They grow up to 95 centimetres tall. Their chicks eat a lot and grow very quickly. At the aquarium, we saw a hungry chick fed five fish in a row and he was still looking for more from the keeper. They have very fluffy feathers to keep them warm in the cold. They look so different from their parents that when they were first discovered, scientists thought that they were a different species and called them woolly penguins. Instead of laying their eggs in a nest like most birds, king penguins balance their eggs on their feet above the cold ground and incubate them with their big belly. They are excellent swimmers and can dive 300 metres deep to catch fish and squid. Are there any other interesting facts that you would like to share about king penguins?